Land Use & Environmental Compliance Advocacy News, Opinion, Science & Strategy | Citizen successes and what works in ensuring land use and environmental laws are enforced to preserve quality of life. To learn how the safety of roads in your area compares with the rest of Maryland check out the two charts below. The first chart shows the rate for all crashes and the second gives the fatal crash rate. While safer roads had been the general trend in Maryland, one of the sharpest increases in fatal crashes in 30 years occurred in 2015 (see third chart below). Throughout the nation watershed advocates struggle with poor Clean Water law compliance, but this may change thanks to a very successful experiment in the Baltimore portion of the Chesapeake Bay watershed. Over a 12-month period, 70 volunteers and 40 local, statewide and national organizations carried out two surveys of the quality of erosion control on 140 constructions sites in the Greater Baltimore region. 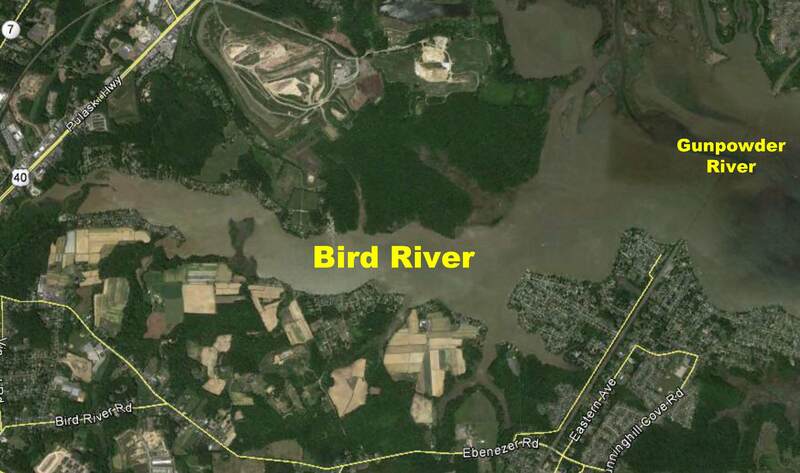 New shopping centers, highways, housing projects and other development is the only source of pollution which is growing in the Chesapeake Bay watershed. We rely upon a number of programs to ensure that we get the benefits of this growth while minimizing environmental impacts: construction site sediment control, stormwater management, wastewater collection-treatment, wetland-waterway permitting, etc. 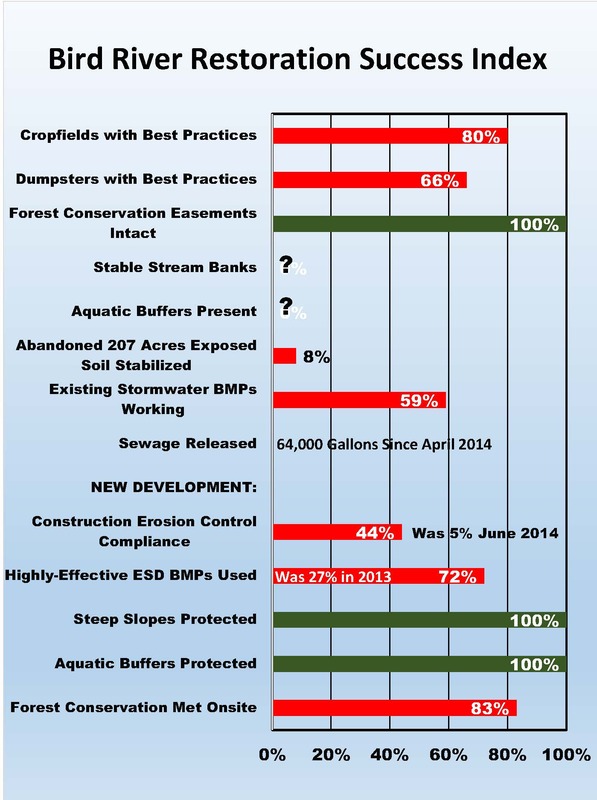 If these programs do not achieve a high level of compliance then the benefits of all other restoration activities – public education, retrofits, in-channel projects – may be obscured by sediment, stormwater, sewage and other excessive pollution. Wednesday, Jan 28th, 1:00 – 4:00 PM, Watershed Audit: The Quickest Way to Correct Multiple Pollution Sources Degrading a Waterway & Expand Your Base of Public Support, Political Clout. We’ll show you how to recruit large numbers of watershed residents to participate in a survey of a watershed for pollution sources such as construction sites, leaking sewers, poorly maintained stormwater pollution control measures, and much more. We’ll then explain how to use the combined political clout of the residents to get each pollution source quickly corrected. The workshop includes a visit to actual sources so you can see how easy it is to pin-point and correct pollution. For further background on this approach see: Severn River Audit (suburban watershed) or Corsica River Audit (rural watershed). Tuesday, Feb 10th, 10:00 AM – Noon, Citizen Land Use & Watershed Growth Management Plans: How to Draft a Plan that Accommodates Reasonable Growth Without Jeopardizing Quality of Life or Aquatic Resource Health & Get the Plan Adopted. Most land use plans seem designed to maximize growth regardless of the economic or environmental impact to residents. Yet drafting a citizen based plan can be a highly effective way of mobilizing the public support and political clout needed to shift growth in ways that preserve and enhance quality of life as well as aquatic resource health. We’ll present examples of citizen generated plans that have effectively guided growth for more than four decades despite extreme developer pressure to abandon the plan. Wednesday, Feb 25th, 1:00 – 4:00 PM, Environmental Site Design & Other Innovative Ways of Getting the Benefits of Growth While Preserving & Enhancing Aquatic Resource Health. All Chesapeake Bay watershed jurisdictions have or are about to adopt Environmental Site Design or similar approaches that utilize highly-effective runoff control measures and other practices that greatly development impacts. However, compliance with these new approaches is uneven throughout the 64,000 square mile watershed. During this workshop we’ll show you how to review plans for a proposed development project to determine if it makes full use of ESD or other innovative measures. We’ll also show you how to review a sampling of plans recently approved by a town, city or county to assess overall compliance. Finally, we’ll present proven strategies for dramatically increasing compliance. For further background see our Montgomery County ESD Audit and the CEDS News Services article on Baltimore County. Each workshop is limited to ten people and will be held in northern Baltimore County, MD. The fee for each workshop is $50 per person. To register go to: ceds.org/workshop. After we receive your registration we’ll send you details including the workshop location. For further information contact Richard Klein at 410-654-3021 or Rklein@ceds.org.